Brief Synopsis: Ida is about to take her vows when she heads out into the open with her Aunt Wanda on a voyage of discovery. A dark secret of past family trauma relating back to the Nazi occupation awaits. Quite simply, neither life will ever be the same again. Every frame of this film acts the equivalent to a piece of artwork that one wants to behold. It is meticulously crafted in lightly faded black and white with every mild camera movement articulating the sense of approaching drama. The film is entirely minimalist and beseeches the cold and faded landscapes of a semi-derelict and post-war land. Here is a clear and finely cut case of less is more. Stunning. 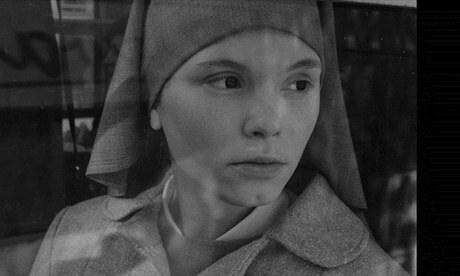 Agata Trzebuchowska is magnifying in her portrayal of a young woman (Ida) on the cusp of becoming a nun. Her deep eyes give off a radiance of complex feelings about the surrounding world. Her long blonde hair is symbolic of her freedom, her beauty and ultimately, the particular power of individual human features. Every object or element in Pawlikowski’s frame begs depth and interpretation of meaning. I won’t get caught up with details here, but the hungry viewer should watch the material with finesse. Ida’s Aunt, Wanda (Agata Kulesza) leads her on an uneasy road to discovery, yet what she discovers is a haunting depiction of reality and the suffering that lies beyond. Wanda’s character lays the foundations of communist décor in 1960s Poland; she is a retired judge who is excused of any wrongdoing and an outlandish character consistently searching for truth and pleasure. One feels as though the ground may erupt at any moment. Pawlikowski is not afraid to lead us directly into his narrative, he does not spend lengths developing the characters backgrounds for example; he simply presents us with them and lets the ambiguity draw us inside. This is reason alone to herald the magnificent performances and ingenious camerawork. A number of conclusions can be drawn from this film, a number of insights gained and a number of subtleties left to explore, if so inclined. I will certainly begin by watching it again.